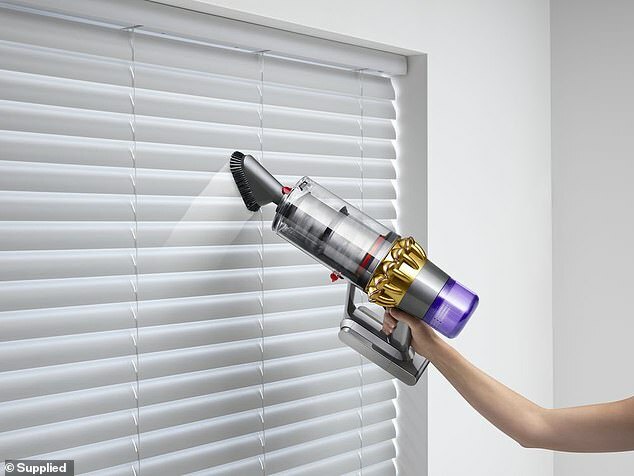 Dyson’s latest cord-free vacuum promises to be the most innovative yet, with an LCD screen, a powerful battery and the ability to adapt suction automatically depending on the floor type. 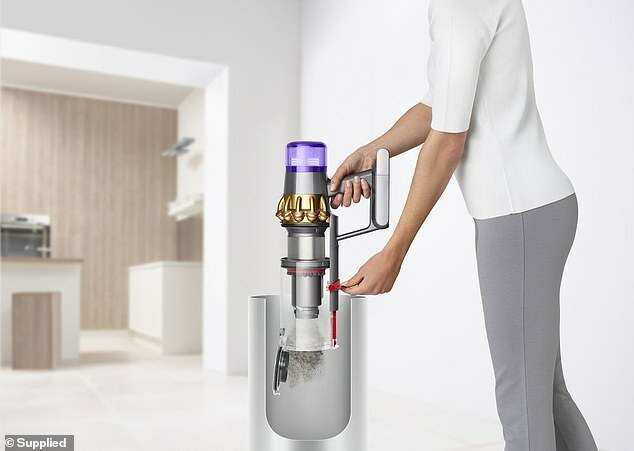 The ‘intelligent’ cleaning device, which launched on Thursday on the Dyson Australia online store for $1,099, has 20 per cent more suction power than the previous Dyson Cyclone V10 model and captures 99.97 per cent of dust particles. The battery, which lasts for 60 minutes, is the company’s most high powered yet and the electronic screen on the device will tell you when it needs to be plugged back in to charge. Suction from the vacuum also changes between carpets and hard floors so the owner is getting the perfect level of pressure in each room of their home. The on-board screen will also remind users when to clean filters, informs them of any blockages – like a stray toy Lego piece – and explains how to clear them. If you accidentally throw out the manual the vacuum will also offer you tips in real time on how to fix mistakes as you work around the room. 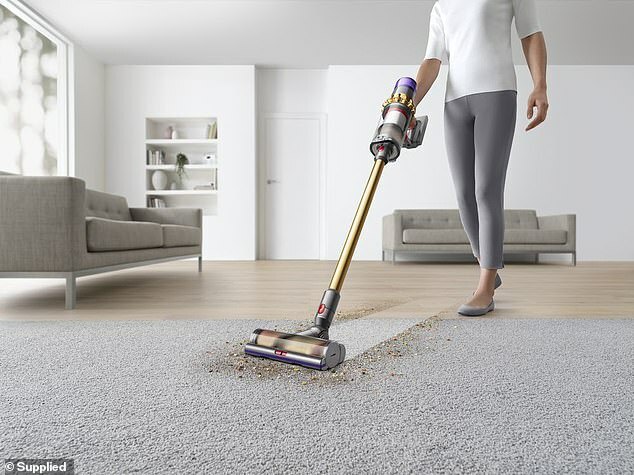 It’s a low noise device – so you can vacuum at any time of the day without fear – because the whirring air it’s sucking in isn’t transferred back out of the vacuum in the same way a regular brand’s cleaning product might. For those who may suffer from allergies this air sucking technique is particularly useful, as it means dust isn’t left to float around you as the cleaning process takes place. Instead allergens are caught in the device and then emptied at a later time into the bin. 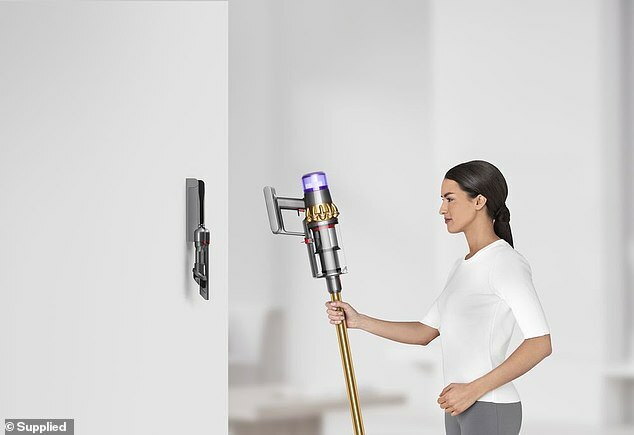 For the next fortnight the device will be available on the Dyson website, before they are released in retailers right across Australia. It joins the likes of the Dyson AirWrap hairtool – a non-damaging way to blow dry your mane – and the purifying fan, both of which carry a similarly hefty price tag. This vacuum comes with a 45 day money back guarantee and has two more models on offer too.